My hubby's birthday is on Sunday and he is the hardest person to come up with good gifts for. He usually buys what he wants, which means a lot of the time I have to get creative with what to get him. Not to say that he is picky, he would probably love anything I get for him. I just love buying and giving awesome presents! 1. Zombies! Does your guy often refer to the Zombie Apocalypse like mine? Then check out these awesome printables for a Walking Dead Party! 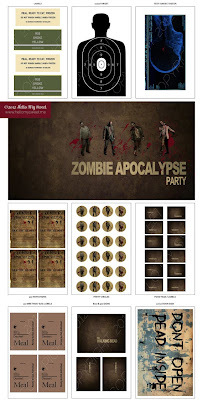 You could do a lot with this party: a fog machine, gory-looking food, "bloody" drinks, mini zombie emergency kits for favors, etc. You could even have guests come dressed as zombies! How great would a surprise party be? Imagine your guy coming home to a house full of zombies (a dream come true for my husband, I'm sure)! 2. Casino Night. We love to get away to Vegas at least once a year. Why not bring Vegas to you?! 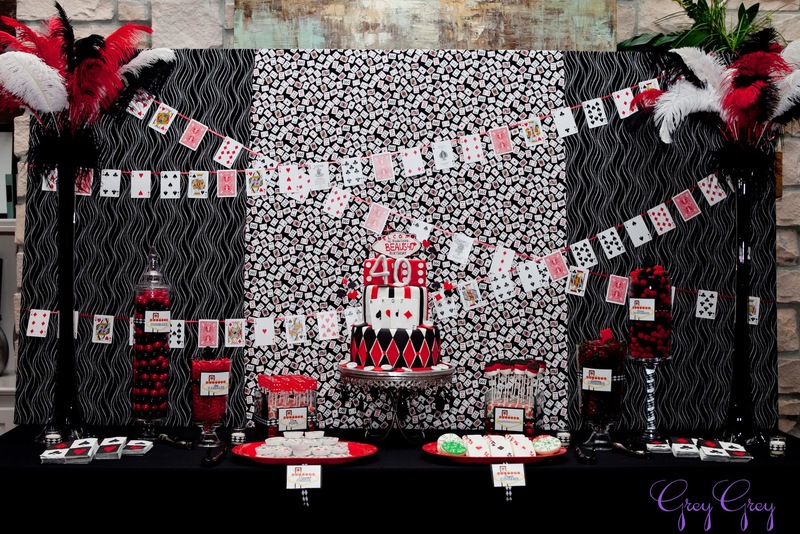 Check out this fun Casino Birthday Party. 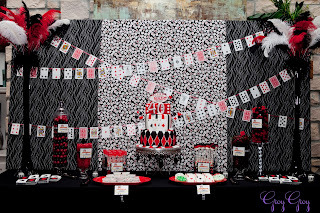 You could have a few card tables out for blackjack, poker, etc., break out the cigars, and give out a handheld electronic poker game and a deck of cards for favors! 3. 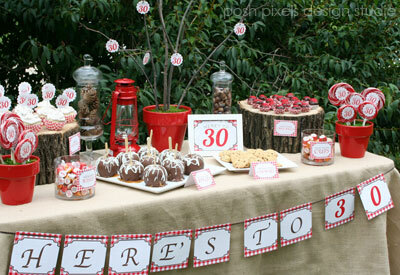 Rustic Outdoors Party. Last year, we went camping and white water rafting for my hubby's birthday. This Rustic Outdoors Themed Party would have been a great addition to our adventure! We could have set up a table while he was out rafting! Or just save it for the backyard. Get a fire pit, roast some s'mores, and have a great time! 4. Grumpy Old Men Day. This is such a fun idea. And the fact that her husband put it together is impressive! Get a group of guys to wear "old men" outfits and golf, bowl, smoke pipes, and drink scotch. It would be really funny if you could get your hands on a couple of those motorized scooters! 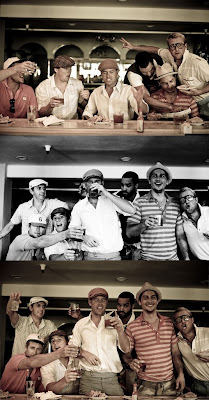 I could totally see a group of guys getting into character and going crazy with this one. 5. Opena Case. It's an iPhone case that has a built-in bottle opener. My hubby had one until he got a new phone and loved it! Now that I see they make one for the iPhone 5 I might have to get one for him. 6. The Sportula. For the grilling enthusiasts out there. 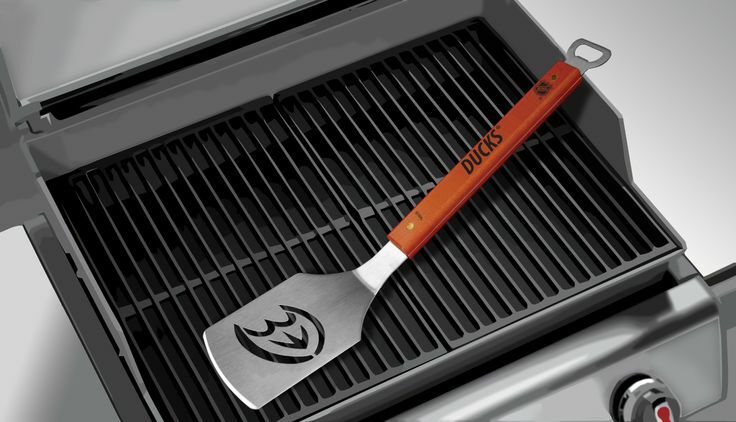 You can get a grill spatula with your favorite team's logo on it. They also offer spatulas with other logos on them besides sports teams, including patriotic logos, collegiate logos, and #1 Dad logos. 7. Zombie Survival Kit. For the zombie enthusiast (like my husband), this Zombie Survival Kit is silly but useful, as it is an actual emergency kit. It is a good gift for a laugh and great to have in the house just in case. After all, you never know when the zombies (or a natural disaster) will strike! 8. A Par-scription. I saw this on Pinterest and it had a link to nowhere. I tried to find it online to no avail. You could totally make it yourself though. Get a couple of golf balls, a prescription bottle, and some blank labels. Print out your own faux Rx and put it on the bottle and on a little paper bag! Buy them a round of golf at their favorite course to go with it, and you have a fun gift for any man in your life that loves to golf. 9. 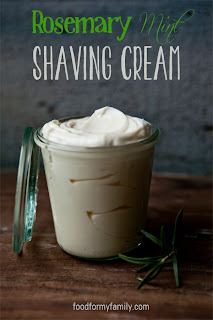 Rosemary Mint Shaving Cream. I think it would be pretty cool to make something like this. 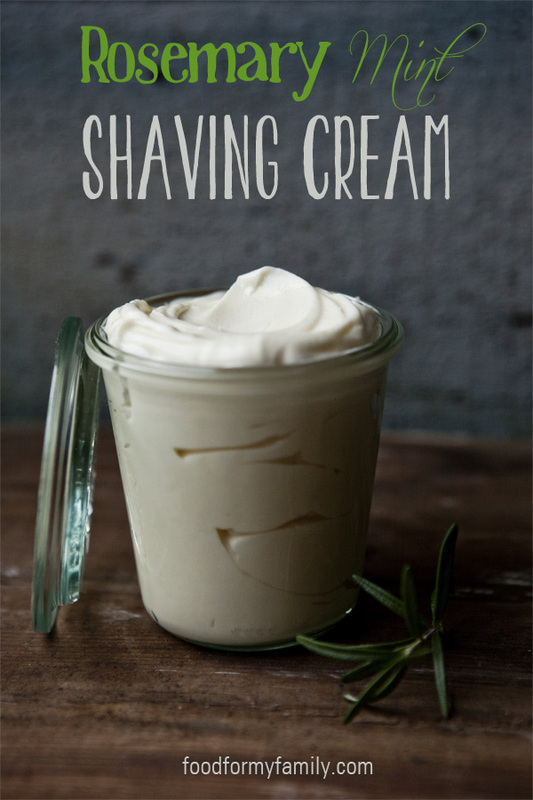 My husband loves the shaving cream/ Beard Lube from Jack Black, but this probably smells similar and would cut the cost. This would be great to give as a gift with a new shave kit. 10. 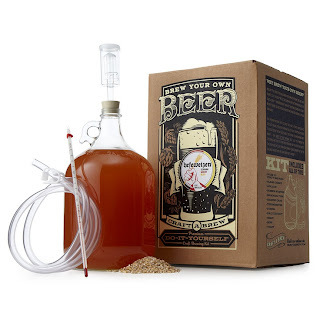 Beer Brewing Kit. This one isn't handmade by you, but it will give your man a chance to get crafty! This kit comes with everything he needs to brew his own beer. If you enjoy beer too, it can be something fun for you together! 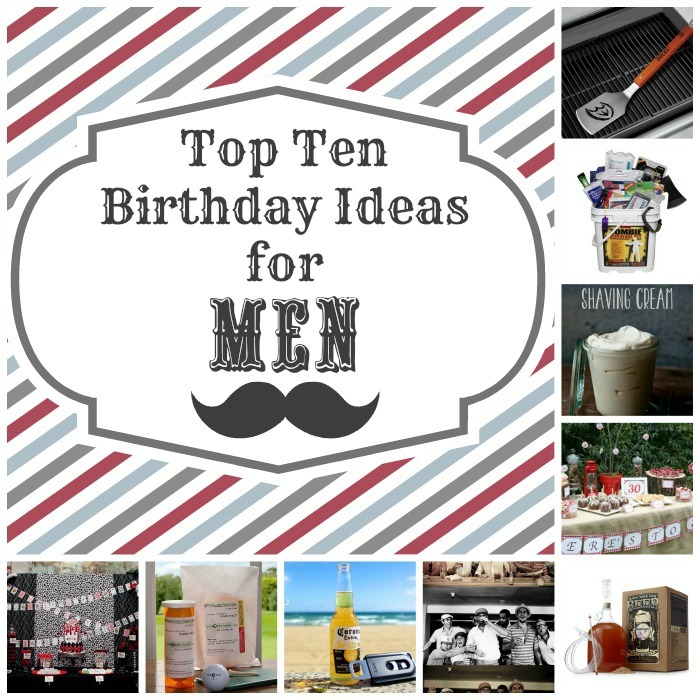 I know my husband would love any of these ideas! Hope you got some inspiration from them as well! Thank you! I am following you on Bloglovin' :) Have a great day! 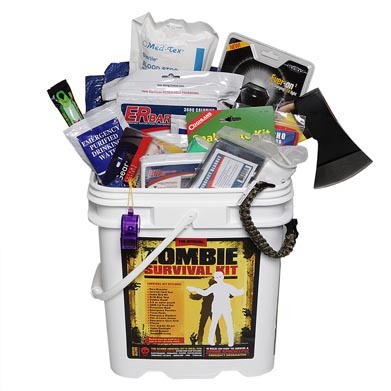 LOL That Zombie survival kit is hilarious!! :) My husband would get a kick out of that! Thanks for sharing these ideas! My husband is SO hard to shop for! Isn't it?! My husband loves zombies, I got him a "zombie hunting permit" sticker for Christmas and he loved it! Thanks for stopping by! A "par"scription. Ha. It took me a second to get it. Lol. 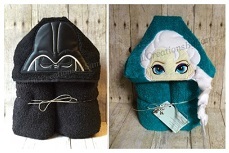 Very clever gift idea! Thanks for stopping by Holly! I think that's every guy's idea of a party, it's us girls that want to go all out, lol! Thank you! The gifts would totally work for dads and brothers, too! I love these ideas. The zombie ones are great!